In order to create the best environment in taking care of newborn babies, we always research optimal solutions to help doctors easily care for and transfer the babies inside hospital buildings. 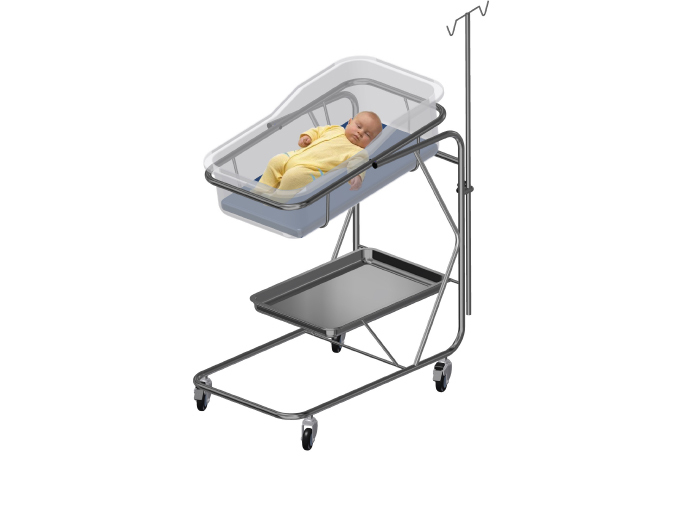 The latest version of the Infant Bed includes all the medical, technical and aesthetic standards that create a comfortable environment for both doctors and babies. 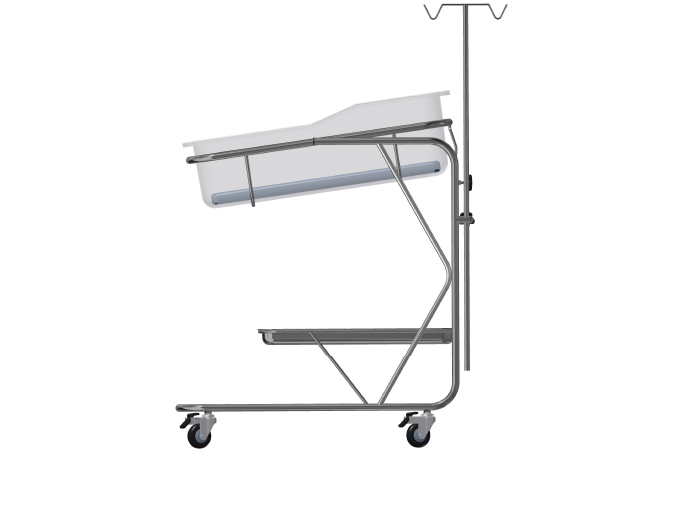 All the components of the bed are made from premium materials that are durable and meet medical standards. 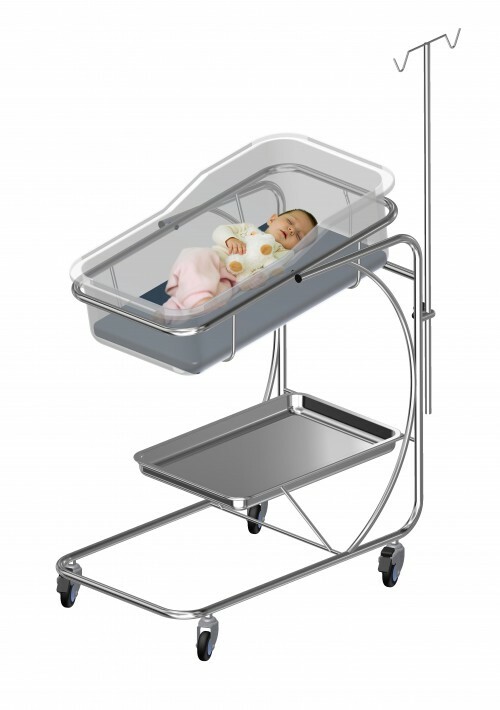 Infant Bed is made from stainless steel (inox 304) that ensures it lasts longer than other devices. 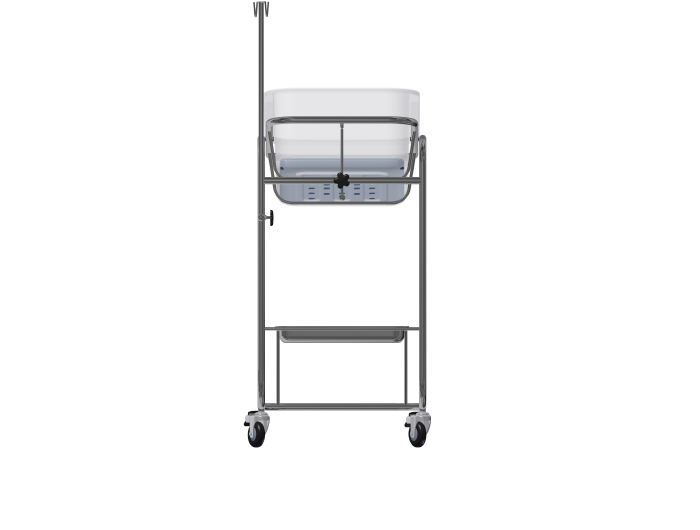 The IV pole is adjustable from 0-15 degrees. 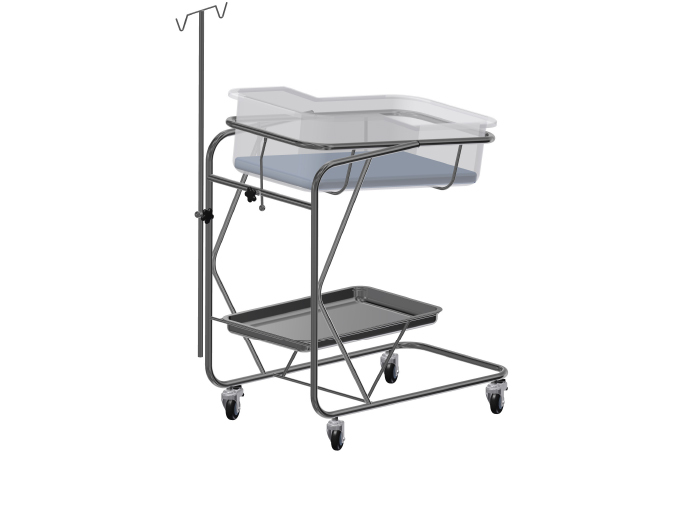 The bassinet and the storage tray are removable for easy cleaning. Its design is simple, compact and portable. 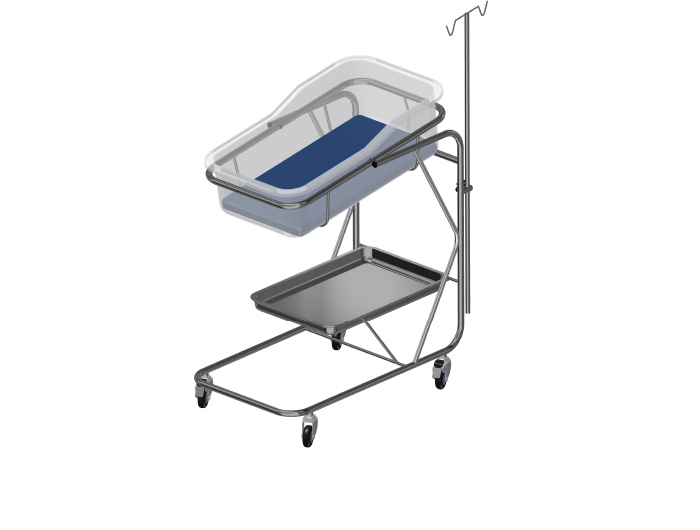 The infant bed is designed to provide easy access to the patients and facilitate mobility within hospital buildings.